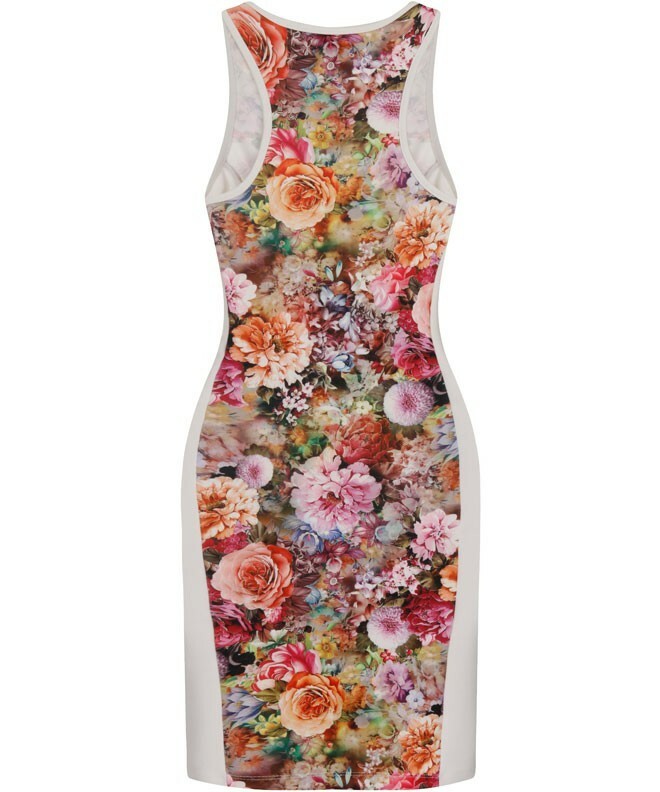 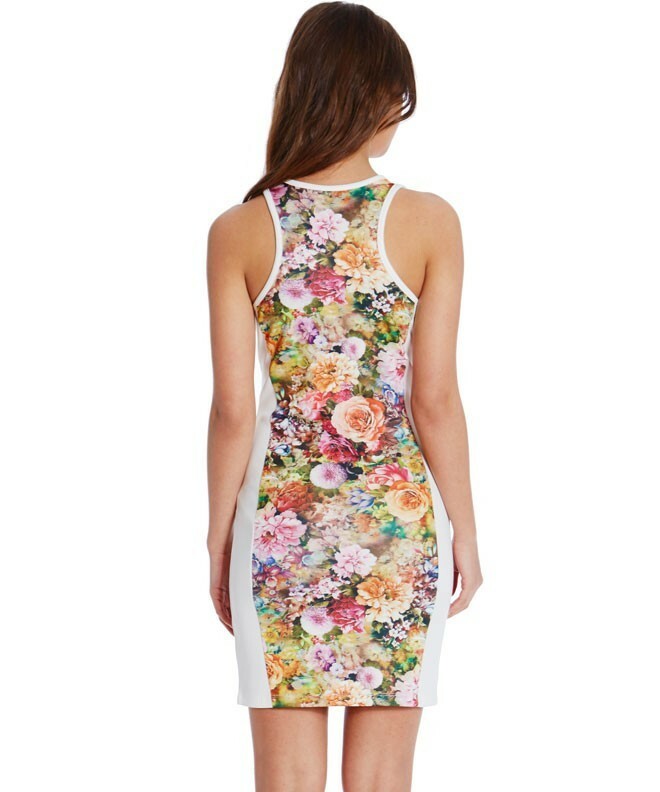 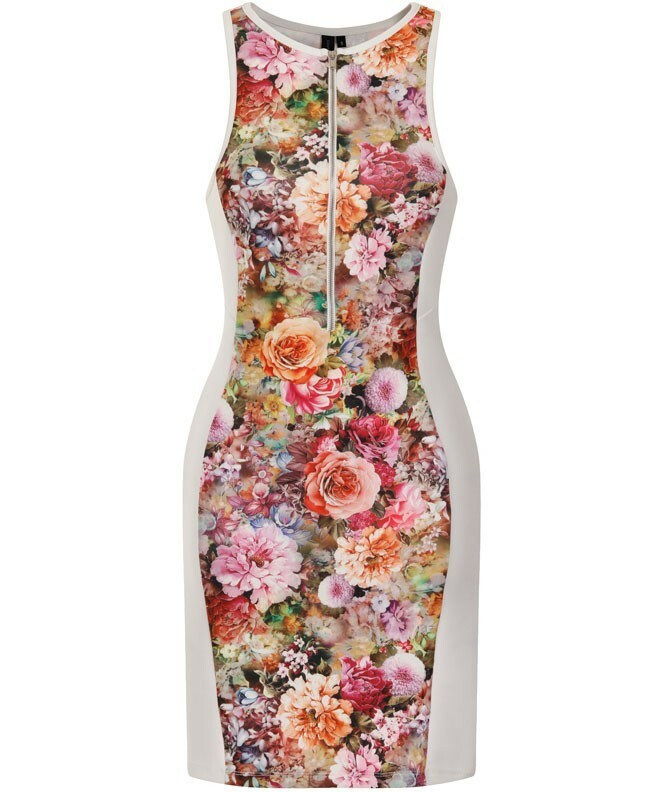 This fabulous floral bodycon dress is a holiday must have for your suitcase this summer. 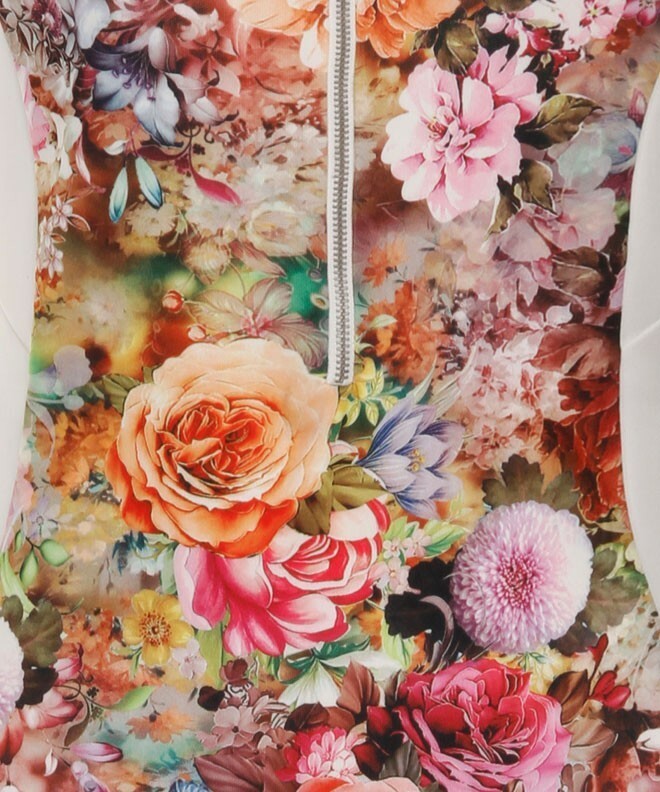 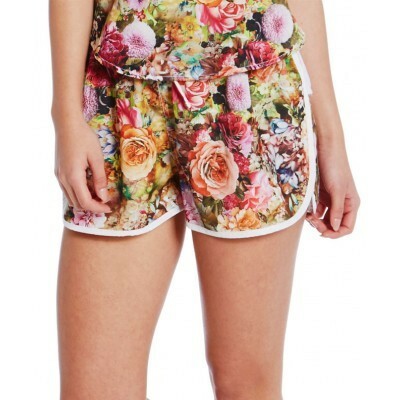 Featuring our sensory floral print with contrast white side panels and a zip front. 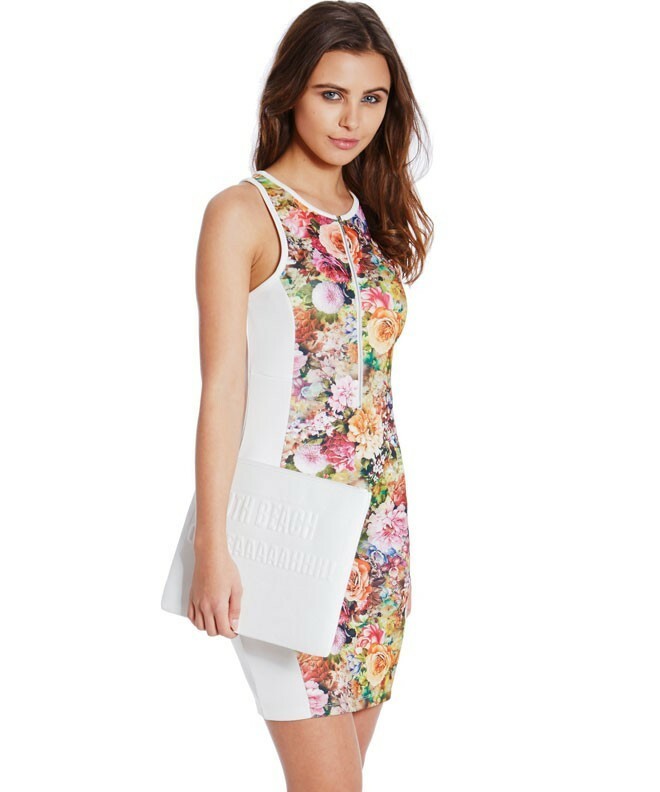 Dress it up with a pair of wedges or make it more casual with a pair of strappy flats.